Manglik also known as Mars Affliction occurs when Mars is placed in the 1st, 2nd, 4th, 7th, 8th or 12th house in a horoscope. 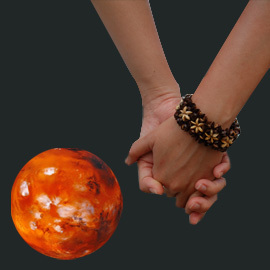 One reason for Mars afflictions is the malefic or unfavorable placement of Mars in your birth chart. Are you manglik? With the Manglik report, you will identify how Mars is impacting your life and whether you are a manglik or not.